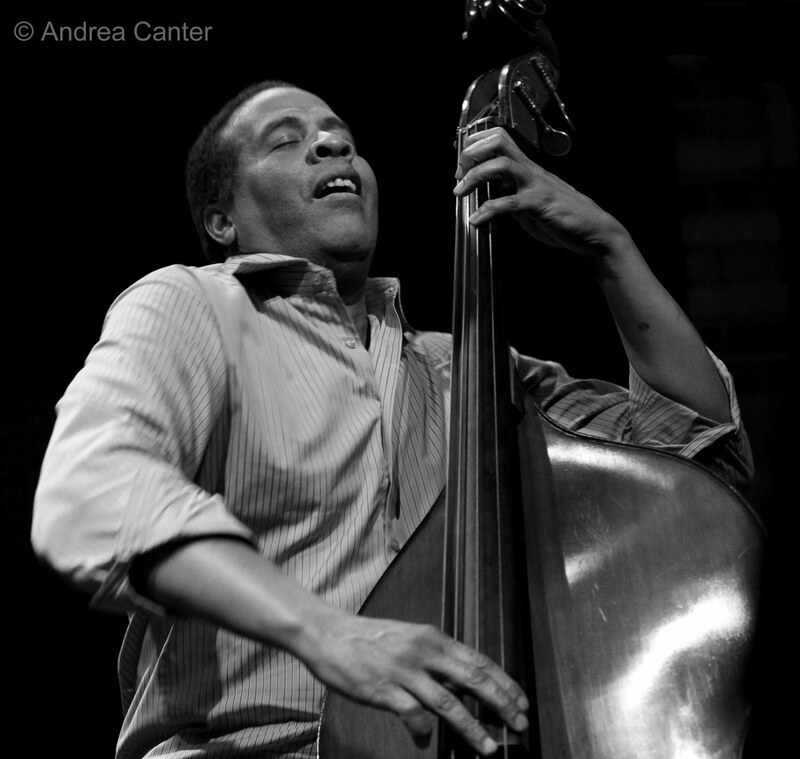 I liked the analogy that Lowell Pickett used to promote the Hiromi/Stanley Clarke duo gig at the Dakota. He told his customers (several times) that, watching and listening to Hiromi when she was here solo in March, convinced him that the film, Crouching Tiger, Hidden Dragon, was not fiction. “She really can fly above the tree tops,” he said. Having seen her solo in both Chicago and Minneapolis, I had no reason to disagree. And after seeing two of her four sets with Clarke this week, I still have no reason to disagree. But for all of Hiromi’s charm, virtuosic pyrotechnics, and jaw-dropping feats of sleight of hand, I also believe that Stanley Clarke can fly, that his acoustic bass is really a magic carpet upon which he rides through space and time. 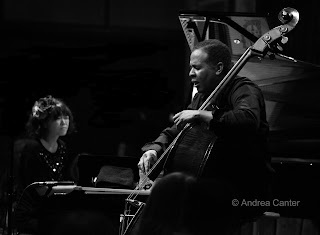 Hiromi is surely a legend-in-the-making; Stanley Clarke is a living legend, and he is not through writing his mythical tales. I’m not aware of the origin of the relationship between Clarke and Hiromi but suspect Chick Corea has something to do with it as a common denominator between the two—Clarke of course a long-time partner of Corea and Hiromi a long-time protégé, the two pianists releasing a luscious duet album in early 2009. 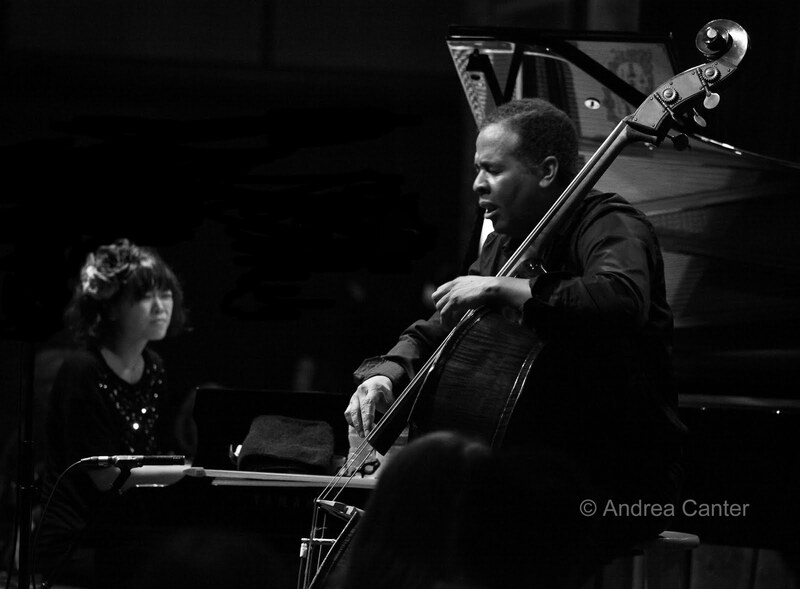 With Lenny White, Clarke and Hiromi toured and recorded one of the best CDs of 2009, Jazz in the Garden. Much of what they played together at the Dakota comes from that release. Maybe too much, maybe not enough. My only quibble with an otherwise amazing two sets of magical music was that there was nearly complete duplication of compositions (“Paradigm Shift,” “Isotope,” “Sakura Sakura,” “Three Wrong Notes,” “No Mystery”). And from reports from others, these two sets were essentially like the two I missed, the main variant being which solo Hiromi chose. And at least twice, it was “I’ve Got Rhythm.” And in no case did she play one of her own outstanding compositions, not from Jazz in the Garden, not from her stunning solo release (Place to Be). Quite odd, I think, given original compositions have been a mainstay of Hiromi’s repertoire throughout her career. Hiromi has been like a rapidly growing vine since her 2003 Telarc debut, sprouting leaves and flowers while twisting her way through a mélange of straight-ahead post bop and more pop-infused electronics, never losing connection to her Japanese roots. But in the past year or so, new buds have formed and the floral spray has yielded new colors and fragrances as she has taken to new explorations in a fully acoustic vein, first in duet with Chick Corea, then “in the garden” with Clarke and White, and then finding her own source of nurturance in the all solo Place to Be. Each adventure seemed more sure, and more exquisite, than the last, be it at breakneck speed (her “I’ve Got Rhythm” pushes Art Tatum to the side as her stride flies by like a Minute Waltz) or with the intricacies of a Bach Toccata (as on the Return to Forever classic. “No Mystery”). 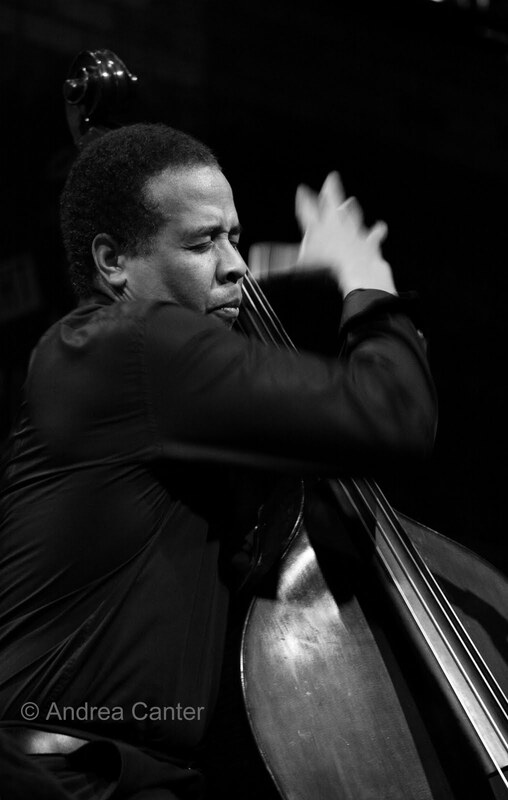 In Stanley Clarke, she may have found her most sympathetic partner, and one who can match her magic while retaining his separate identity. And so the reverse is also true—in Hiromi, maybe more so than in Chick Corea, Stanley Clarke has found the yin of his yang, a couple generations removed but perhaps that is part of the connection, a source of rejuvenation. Having spent most of his career on electric bass, Clarke is rising from the pile of cables and amplifiers to reach the very top tier of acoustic artists. Each composition played at the Dakota gave Clarke ample space to experiment, to alter sound through slight shifts of hand position, through percussive attacks with fingers and palms, through gentle strokes of fingers against strings or more aggressive pokes, full-handed or single, double, triple-fingered. Each set, he played on full solo, and he flew above the tree tops and well beyond. Sometimes the sound seemed electrified – an exaggerated vibrato, a thwang, scrape or squeal as if those fingers were super-charged with sonic static. Sometimes Clarke gave new meaning to the notion of a “slap bass.” Once in a while, it seemed that the bass slapped back. On “No Mystery,” the bass became a conga. 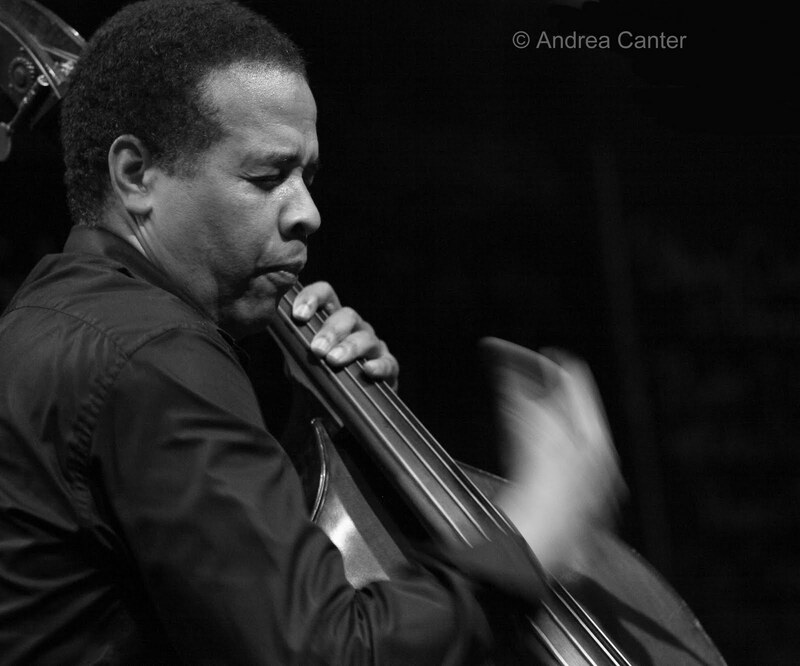 Hiromi is currently touring with the Stanley Clarke Band, a quartet. But I’m not sure what roles are left for the other two musicians. 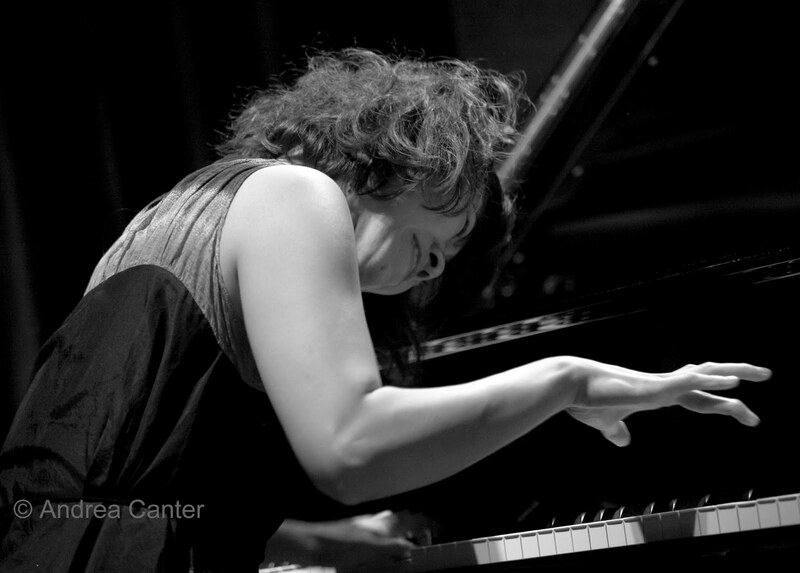 Hiromi and Clarke, 30 years apart, come together with a rare capacity to make each other fly higher, travel farther, and sing more beautifully, and it doesn’t seem to matter if they are playing in tandem or soloing in the presence of the other. The Doc is Definitely In!